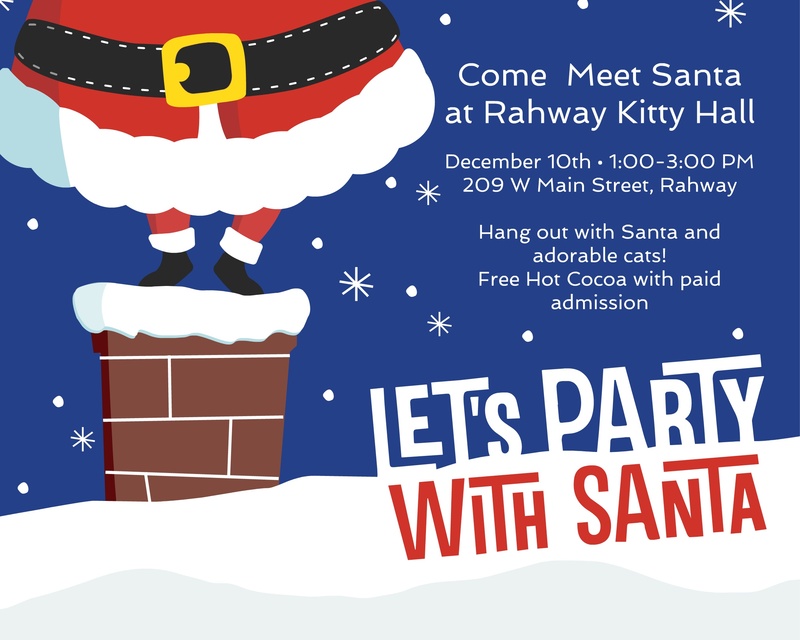 Pictures with Santa at Rahway Kitty Hall: December 10 from 1-3pm. Reservations are recommended. Free hot chocolate while you hang with the cats and get photographed!